Dog Parks in Napa Valley! 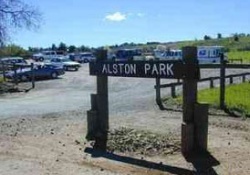 We research great dog parks to go with your pets in Napa Valley! 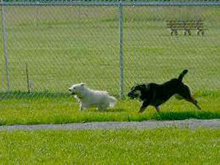 Off leash dog park, fenced areas for small & large dogs, shade & seating available at this location. Canine training allowed with permit only at this location. Unfenced, off leash dog areas at this 350 acre open space, with long walking path. River along the west side of the park. Dog must be under voice control. 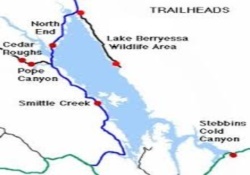 This is a popular trail along the Lake Berryessa shoreline at Smittle Creek Park over to Oak Shores Park. 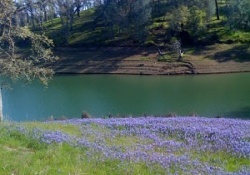 Leashed dogs welcome, easy 2.6 mile trail; areas for picnics, fishing, & swimming. Expect to see some deer at the streams & bald eagles overhead. During Winter and Spring the islands are green and you can spot California's Raptors, or various "birds of prey." Leashed dogs welcome, easy & wide 1.5 mile hiking trail following roadbed, one of many trails surrounding Lake Beryessa. Picnic & fishing areas on this path. Please be mindful of possible rattlsnakes in long grasses in this area. Trailhead: Drive west on Pope Canyon Road, 2.1 miles west from the Knoxville Road intersection. From the gate, the trail leads westward, then follows the old road towards the main lake. Below the trail is first Pope Creek and further along the Pope Canyon arm of the lake. After about 3/4 of a mile, an old jeep trail cuts sharply to the right from the main roadbed and descends to a nice grassy shoreline that is good for a picnic. **Look for a sturdy brown and yellow striped gate on the south side of the road. Small hiker signs on a post and on the gate announce the trailhead. This is a 636 acre reserve on the sunrise-side of the North Coast Ranges in the Vaca Mountains. The full hike is a strenuous 4 mile loop hike up the Canyon to Blue Ridge. 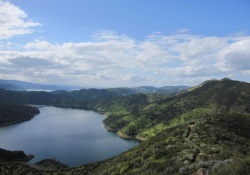 Dogs welcome, strenuous 5 mile loop hike with spectacular view of lake Berryessa & the region. The Homestead Trail is a one mile one-way trail that starts at the main gate by the road, up the canyon to the old Vlahos homestead and Cold Storage Area; easy to moderate. The Blue Ridge Loop Trail (Full loop) is a steep, challenging 5 mile hike with managable switchbacks; it begins 100 yards west of the main gate, on the west side of the creek. The trail passes up the western peaks with magnificent vistas, along the ridge and loops back to the old stone Homestead foundation. Pleasants Ridge Trail is a very steep and unmaintained trail that runs up to the top of the eastern ridge begins at the left fork just inside the main gate. ** Use caution when climbing this one mile trail. **Note: Dogs are welcome on the Blue Ridge trail portion of the loop, which is not in the reserve, tho it is steep! Do not ignore the No Dogs Allowed signs at Stebbins Cold Canyon Natural reserve. One of the most visited places in the American West at the top of Napa Valley with misty rainbows in geyser spray. 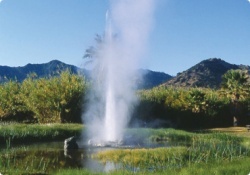 Leashed dogs welcome, wonderful family activity with large picnic areas, snack bar, & gift shop on site, one of three 'old faithful' geysers in the world. 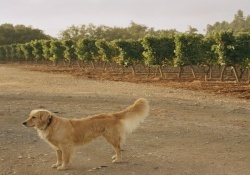 Enjoy a relaxing glass of wine while your four footed friend romps around the outdoors with a dog friendly winery tour or tasting experience. 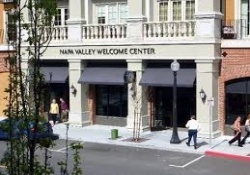 Leashed dogs welcome, along the riverfront of Downtown Napa, the Welcome Center provides valuable information to tourists as well as a shady rest area for your pets. 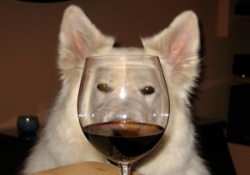 Customized dog friendly wine tours with driving services, dog training tune-ups, water & tennis ball included. 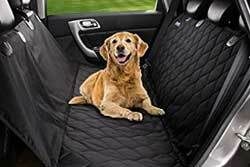 Winery not dog friendly? Try our "Take-n-Play" service where you enjoy the winery while we entertain your pal outside. (for 2 people and 2 dogs).